Somaliland’s recent signing of mega development deals with United Arab Emirates (UAE) and Ethiopia has left Somalia infuriated. Somaliland President Muse Bihi last month made visits to the United Arab Emirates and Ethiopia where he signed agreements to have the oil-rich Middle East state restore the Berbera Airport. The UAE, already expanding the port of Berbera key to maritime business in the Suez Canal linking the horn of Africa and the Middle East and also serve landlocked Ethiopia, will also set up an electricity plant in the city to power up to 25 megawatts. 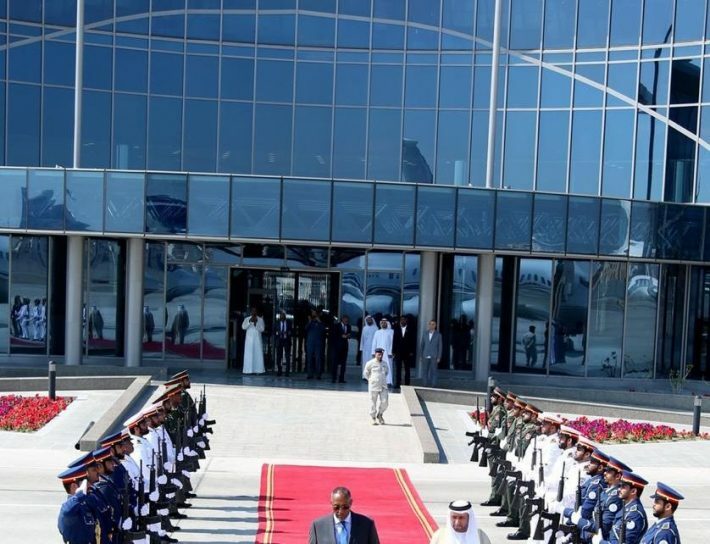 But Somalia is not happy with the business dealings Somaliland is engaging in and the fact that President Bihi was given red carpet reception in the UAE and Ethiopia where the Somaliland flag was hoisted and national anthem played. Somalia government has written to the UN Security council complaining about Somaliland’s engagements. Somaliland is a northern region of Somalia that self-declared independence from the latter in 1991 following a civil war. In their letter, Somalia says the engagements are a clear violation of its sovereignty. But Somaliland envoy to Kenya Omar Bashe stated that his country is free to engage with other countries officially.In a statement, Bashe said: “We as Somaliland wish to express our dissatisfaction at the recent complaint made by the Government of Somalia at the UN Security Council, about the recent trip by President Muse Bihi to the UAE.